Today we proudly present another great german team to Swim Open 2018 - welcome SC Magdeburg! In the team this year we saw the fantastic 200 m butterfly superstar Franziska Hentke (EC Gold medalist 2016) and the fast long distance swimmer Florian Wellbroock who was placed third at the last Swim Open. 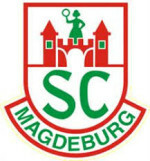 Willkommen Magdeburg!